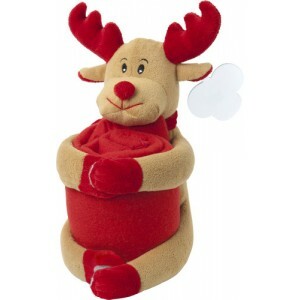 Christmas themed soft toy animal holding a fleece blanket (unfolded: +/- 102 x 77cm), includes tag for printing purposes. 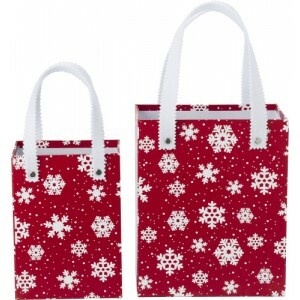 Foldable Christmas shopping bag. 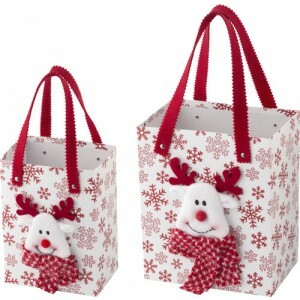 The bag folds into a seasonal shape and is held closed with a press-stud. 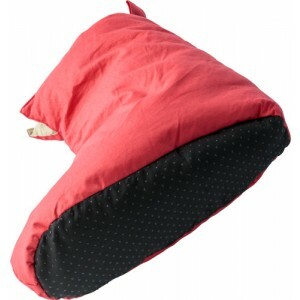 Cotton house shoes with duck feather and down filling; the bottom inlcudes non-slip silicone dots, packed in a plastic and nonwoven zipper bag with matching carry strap. 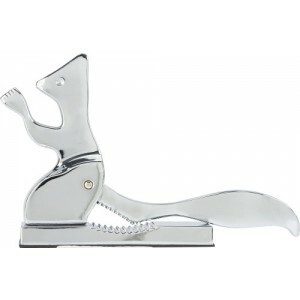 Aluminium alloy nut cracker in shape of a squirrel, with a black foam surface on the bottom to avoid slipping; presented in a luxurious gift box. 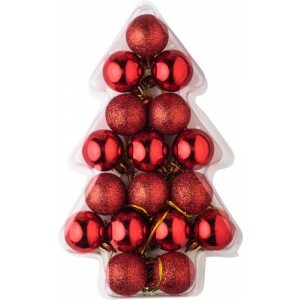 Small, plastic Christmas ball set with seventeen balls (ø 3 cm), presented in a plastic gift box, with the shape of a Christmas tree. 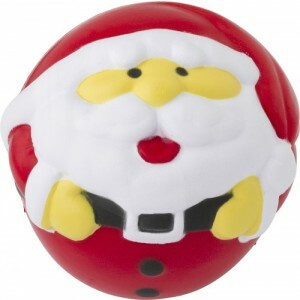 It includes nine shiny balls and eight glitter balls. 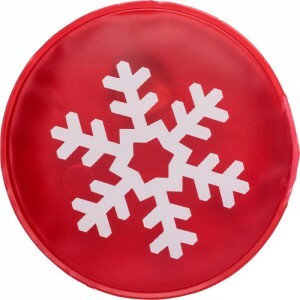 PVC, Christmas themed, self heating re-usable hot pad in shape of a warm water bag, packed in a knitted red warm sleeve. 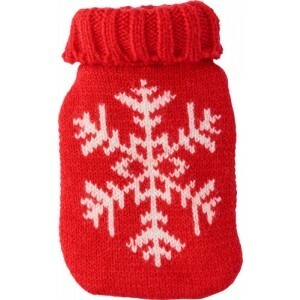 To apply heat squeeze, the metal disk several times. 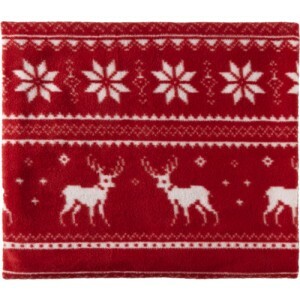 To re-use, immerse in hot water for 6-8 minutes, or until liquid is clear. 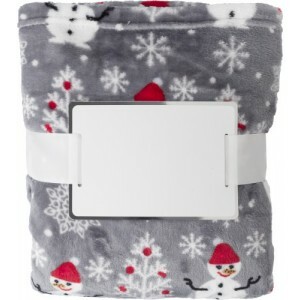 PVC, Christmas themed, self heating re-usable hot pad, to apply heat, squeeze the metal disk several times. 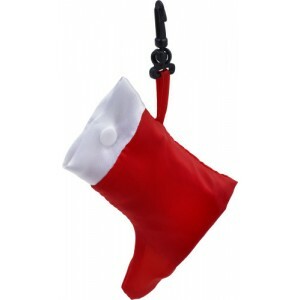 To re-use, immerse in hot water for 6-8 minutes, or until liquid is clear. 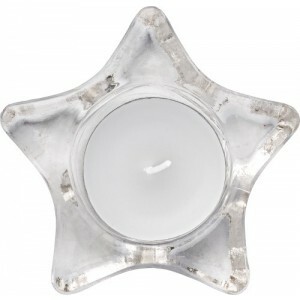 Glass holder in the shape of a star including a small, white candle; presented in a glossy red gift box with transparent lid and ribbon. 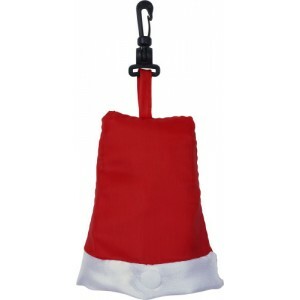 Santa Claus shaped anti stress ball made from a PU foam material. 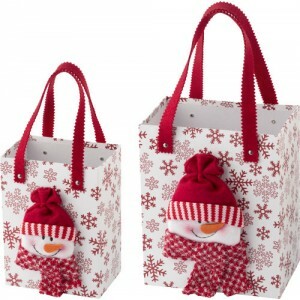 Set of Christmas decoration boxes with carry handles and 3D knitted figures with accessories. 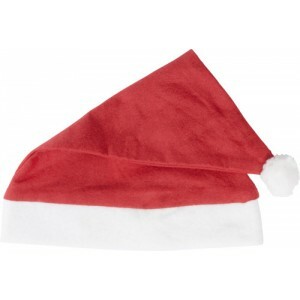 Felt Christmas hat with pom pom.